Morrison Contractors has teamed up with the best boat lift manufacturer in the State, Neptune Boat Lifts to offer you the most innovative, reputable, and reliable boat lifts in the industry. Neptune offers one of the best warrantees in the industry. Like Morrison Contractors, they stand behind everything they build! 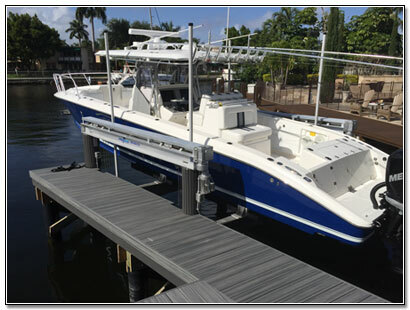 Located in Ft. Lauderdale Florida, Neptune Boat Lifts, Inc., specializes in manufacturing the first Industrial Duty Boat Lift. By integrating a fresh modern look with innovative new designs, Neptune has rapidly propelled to the forefront of the industry. Having over a century of combined expertise in the marine industry, Neptune's design and manufacturing team is unparalleled in the industry. While the Neptune design team has created the next Generation in Boat Lift design their prices remain competitive and Neptune's Customer Service unequaled. Innovations include “Industrial Strength” construction, High Speed Direct Drive Boat Lifts, Ultra Fast H2 Lifts and our SEArmor Package - SEArmor Corrosion Resistant Cable Winders, Grey Nylon Guide Poles, Nylon Drive Pipe Covering, and Stainless Steel Motors. Whether you're lifting a 1,500 lb. Jet Ski or a 300,000 lb. 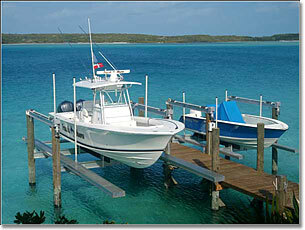 Mega-Yacht, Neptune manufactures an aluminum lift that's right for your needs. At Neptune Boat Lifts their principle goals are to design, manufacture and implement the highest quality and most reliable boat lift in the industry. We will maintain a fair, competitive price while never sacrificing exemplary customer service. • Boat Lifts from 1,500 lbs. Up to 24,000 lbs. • Yacht Lifts up to 300,000 lbs. • Angled Aluminum Elevators up to 72,000 lbs. • Beamless Low Profile Boat Lifts up to 30,000 lbs. • Personal Watercraft Lifts starting at 1,500 lbs. For more information about NEPTUNE products and services, please call us at 954 583-8500 or Email us directly from this website.